The Partnership continues to help find ways to synergise commercial cattle breeding with palm plantation activities. Since 2016, PT. 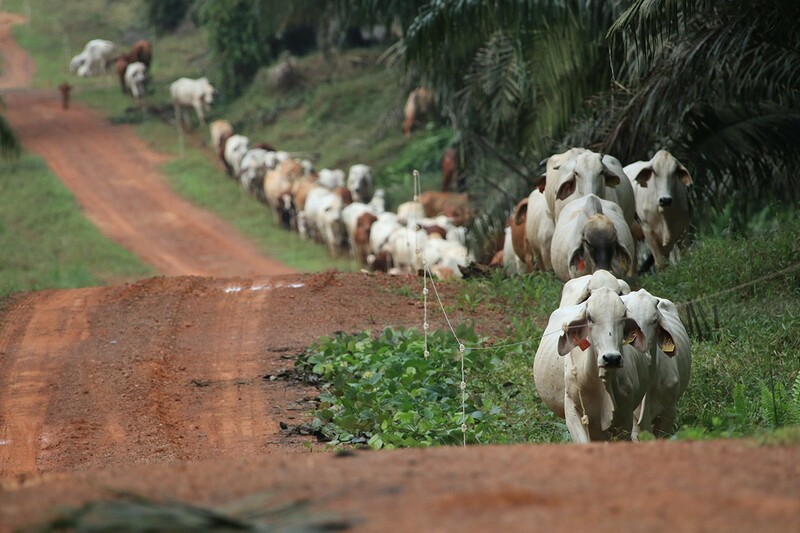 Buana Karya Bhakti (BKB), a company in South Kalimantan, has partnered with the Indonesia-Australia Commercial Cattle Breeding (IACCB) Program to pilot the integration of cattle breeding into itspalm plantations. BKB first started its breeding program in 2013, working together with PT. Santosa Agrindo (Santori), as the two companies sought commercial outcomes for both the cattle and the plantations. In the early stages of the trial, herbicide usage dropped because of cattle grazing. However, after three years, cattle productivity was low and not profitable. Muhammad Zainudin, General Manager (Agronomy) for BKB, acknowledges that his company lacked expertise in cattle breeding at the outset of the trial. “We wanted to invest, but initially we didn’t have the knowledge to raise cows,” he says. In 2016, IACCB signed a three-way agreement with Santori and BKB. The team from IACCB then helped identify the key constraints of raising cattle in a palm plantation. One of the main challenges in the breeding system was to successfully integrate plantation and cattle management. This was instrumental in achieving high-quality feed in the plantation, low-cost supplements for weaner growth, reduced abortions, and calf mortalities caused by very high rainfall. The aim was to achieve more than 75% conceptions and fewer than 10% calf mortalities. “We provided all the facilities necessary to raise cows in our plantation, such as dedicated areas for grazing and cattle yards,” Zainudin explains. In 2017, IACCB delivered 300 heifers and provided expertise to implement new cattle management techniques, including improved bull management and mineral supplementation to boost conception rates. All staff at BKB were trained in these techniques, with one of the facilitators being Wahyu Darsono, who had undertaken the Partnership’s short course on cattle breeding in Australia during 2016. “We usually had tutorials (for the staff) at night. I would set up a discussion group in a small hut and then explain about cows and cattle management,” Wahyu says. 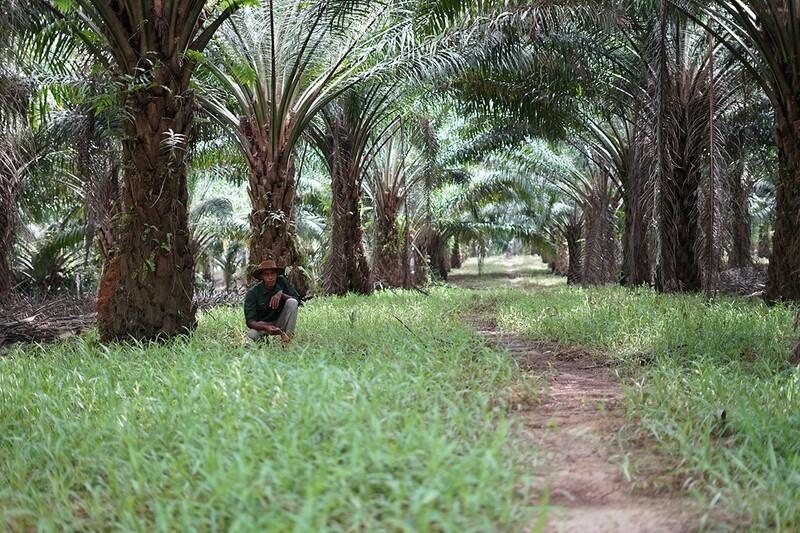 As a result of IACCB input and BKB’s own efforts, Muhammad Zainudin is now managing 495 cattle in a 16,000 hectare plantation and an impressive 74% conception rate on the first round of joining has been achieved. Abortions and still births at BKB are now under control, due to the building of dedicated calving areas and by providing higher levels of supplementation to the heavily pregnant cows, while calf mortality is now under 10%. High feed costs remain, but BKB is able to manage these costs within a set target. Zainudin says that BKB will continue to expand its cattle breeding program to achieve economies of scale in feeding its herd. After 18 months of integrating cattle into their systems, plantation staff at BKB have again been able to minimize the use of herbicides and pesticides, consequently making a considerable saving in weed-control costs. Esnawan Budisantoso, Investment Manager for IACCB, says BKB’s cattle breeding system could be well integrated with palm plantation activities due to the willingness of staff to learn from past experiences. “They have good people who were ready to commit (to raising cattle) and learn from their previous experience,” he suggests. With support from the IACCB team, BKB is now conducting optimal conception trials and improving weaner growth rates by implementing an improved feeding strategy. The company is also conducting research to prevent soil compaction and/or degradation that might be caused by cattle in the plantation. Zainudin believes the cows do not pose any risk to the productivity of the palm trees if the company follows a strict schedule of grazing. “In fact, I’m optimistic that, in the third year, we will reap the benefits,” he says.